It is my great pleasure to join you this evening. This is the third roundtable meeting the APPCG has hosted this year, in which you held in-depth discussion on ideas and ways to expand business cooperation between our two countries. I highly appreciate your efforts. Now is the right time to look back on our work of this year and plan ahead for the next year. 2010 has been a year of robust growth for China-UK trade and investment. We have not only put the worst effect of the financial crisis behind us, but have also managed to make new progress. First, two-way trade has been restored to pre-crisis levels and achieved further growth. Trade picked up quickly this year, posting a record growth of 29% and hitting 35.7 billion US dollars in the first three quarters. UK exports to China grew even faster by 43%. British figures for the same period recorded an export increase of 46%, a record high, too. Second, we have seen robust investment both ways. TESCO, for example, has announced a plan to invest 2 billion pounds in China for the next 5 years. The Royal Bank of Scotland will set up in China its first securities joint venture. This year China also became the No.6 investor in the UK in the number of projects. In terms of number of investors, China ranks second in London. The areas of investment from China have also expanded from financial and transport sectors to high-end manufacturing and R&D centres. 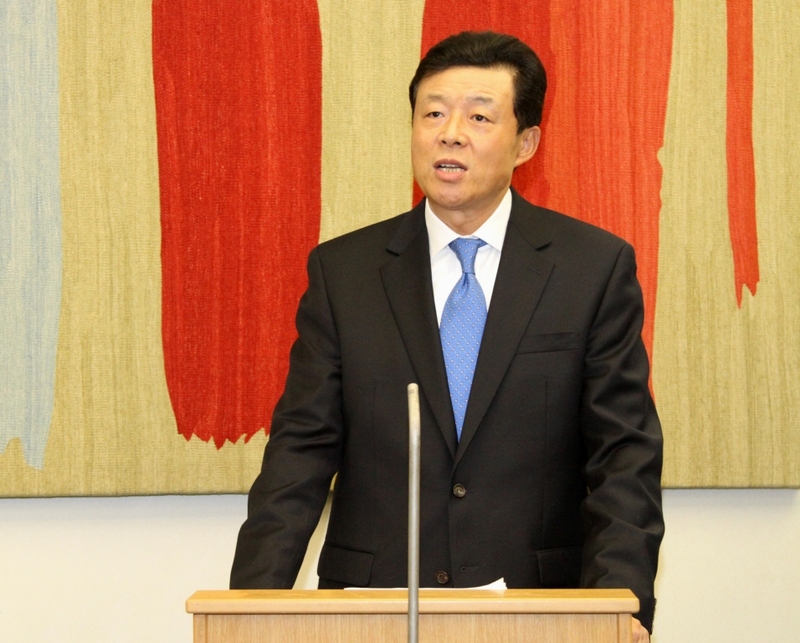 Well-known Chinese businesses such as Chang'an Automobile and Bluestar have set up R&D centres in the UK. Third, there has been much progress in trade of services. The UK is home to the largest number of Chinese banks in the EU. The top 3 Chinese banks have all set up branches or subsidiaries and another 3 are coming soon. Tomorrow I am going to attend the official launch of the new London Office of China International Capital Corporation, the first Chinese joint venture investment bank. The City of London is also working hard to tap into the huge potential in the Chinese market. 7 British banks and 5 insurance companies have started businesses in China. The UK is gaining popularity as a destination for Chinese tourists. According to VisitBritain, the number of tourists from the Chinese Mainland jumped 80% from January to October, a record high. By the end of this year, over 200 thousand Chinese tourists will have visited the UK. Fourth, there has been strong political support to our business partnership. The coalition government proposed "partnership for growth" with China, targeting increased export to China and Chinese investment in the UK. Business cooperation was also high on the agenda when Prime Minister Cameron visited China together with 4 cabinet ministers and over 50 business leaders. Thanks to our joint efforts, the Economic and Financial Dialogue and the Joint Economic and Trade Commission session produced fruitful results. Agreements worth billions of US dollars were signed in aviation, low-carbon technologies, urban design and ICT. George Bernard Shaw said, "We are made wise not by the recollection of our past, but by the responsibility for our future." 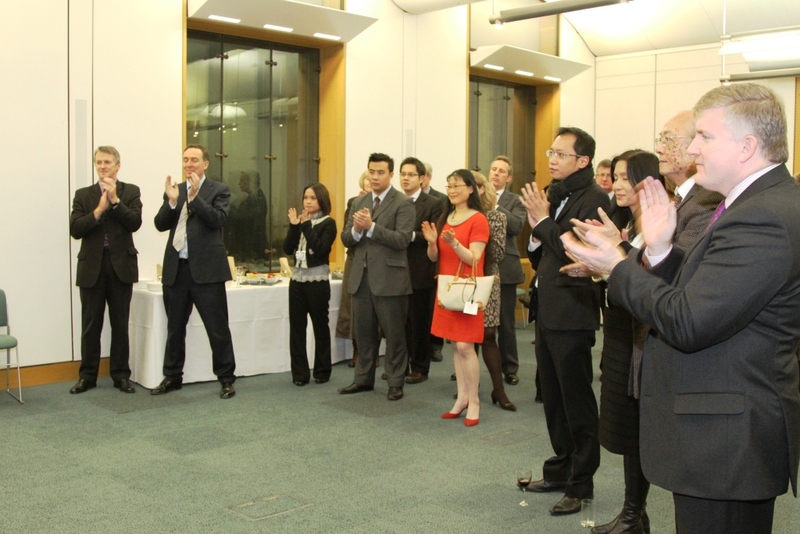 We have achieved a lot in strengthening China-UK cooperation, but much remains to be done. This is our responsibility for the future and for our two peoples. Firstly, we need to show vision and focus on the larger picture. We should develop strategic and sustainable cooperation, not short term gains. We should go beyond mere buying or selling, and seek to develop a long-term partnership. The restructuring of our two economies will provide huge opportunities for us to draw on our respective strengths to foster new growth points. To use an analogy in medical science, we should actively develop flagship projects in strategic areas as an artery of our business partnership, promote SME cooperation as capillaries, and expand cooperation in low-carbon, information and bio-technology, new energy and material sectors as fresh infusion of blood. Secondly, we need to accommodate each other's concerns by further opening up markets and facilitating investment. Many Chinese companies are keen to come to the UK to set up subsidiaries and regional headquarters, make acquisitions or get listed in the stock exchange. It would be much easier for them if they can be given greater facility in processing their applications and in the travel of their staff. The UK ranks only 5th place in the EU in technology export to China. We hope that the restrictions over high-tech exports to China will be eased to improve our trade structure. China will open up its services sectors in line with WTO commitments, give the same treatment to Chinese and foreign companies, and step up IPR protection. We are confident that UK businesses will find in China an open, fair and well-regulated environment for making investment and running business. Thirdly, we need to uphold free trade and a sound international trading system. Britain is the birthplace of free trade. Adam Smith's theory has influenced international trade for over 2 centuries. China, as a major trader in the world, shares similar positions with the UK on free trade.We should firmly oppose protectionism, resist abuses of trade remedies and prevent trade wars, which will affect global economic recovery. Our common objectives should be to promote an early and balanced outcome of the Doha Round and an open and free global trade regime. This is essential to global economic growth. 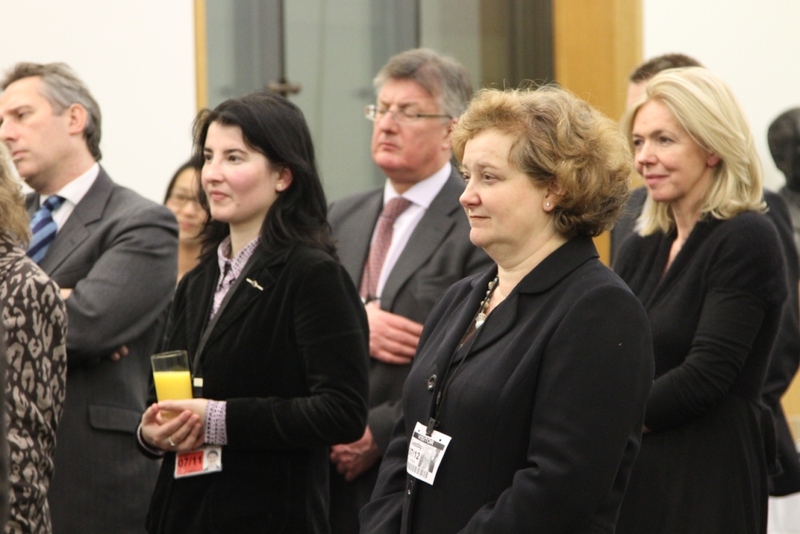 As members of the APPCG, you have been committed to China-UK relations over the years, giving full support to your government's policy of closer engagement with China. You have also been actively engaged in increasing mutual understanding and cooperation between our two countries. Your regular exchanges with the Chinese National People's Congress have been beneficial to both sides. I hope that you will deepen the cooperation with your Chinese colleagues through sharing experience on how to cope with the challenges of governance in this new era. This will help foster mutual understanding and trust and advance our relationship forward in all areas. You are a most dynamic player in China-UK relations. Your direct involvement has invigorated China-UK cooperation. I do hope that with your vision and enterprising spirit, you will work to expand and enrich our cooperation by making full use of our respective strengths. This will benefit both sides. China-UK relations now stand at a new historical moment. Let us work together to grasp the new opportunities to strengthen cooperation and take our comprehensive strategic partnership forward.